Find us on PONNY Facebook. 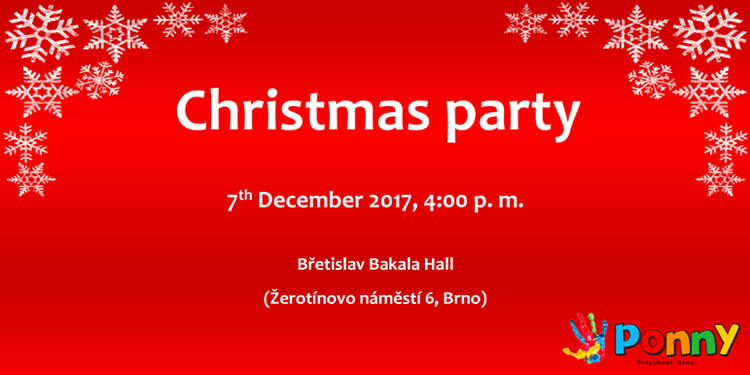 Invitations, news, photos and videos! 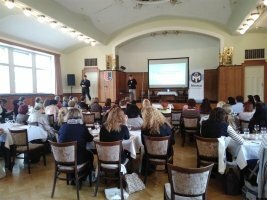 Our aunties Veronika Merendová and Soňa Bracková participated in a nationwide MENSA conference aimed at developing talents, education and identification of gifted children. This time more focused on how to motivate children to learn. The conference is always an opportunity for us to meet enthusiastic teachers and learn about new results in the field of gifted education. Martina Drtílková shared experience and examples of good practice with regional methodologist of nursery, primary and secondary schools. The aim of the meeting was to evaluate the work with gifted children and an identification of new competencies for the next year. Auntie Sasha Gottierová participated in the seminar of pedagogical diagnosis which was aimed at deepening the pedagogical skills of teachers at kindergartens in the diagnosis of various types of non-standard child development, to expand knowledge in this area, including terminology, understanding the content of professional examinations and the overall strengthening of expertise and communication skills towards parents and teacher assistants. Karla Večeřová participated in the conference How does psychosomatic which offered an insight into the area that connects western and eastern medicine, biology, psychology, quantum physics, mathematics and others. It shows how harmony and balance in all areas of life is the greatest disease prevention. Our aunties Veronika Merendová, Míša Fuková, Soňa Bracková and Markéta Navratilová completed the first part of the NTC training. NTC Learning System is a unique learning that develops child's brain with the help of exercises that have a scientific basis, evidence supporting more effective use of a brain capacity in childhood. Accept our invitation to Open House Day on 9th and 10th February 2016. If you are interested in more details about our preschool program and experience relax atmosphere, visit us together with your child and ask any questions personally. You will have an opportunity to see the kids working on projects, NTC method etc. PONNY has become a member of the regional methodologists of the National Institute of Education for the formal education of gifted children for the period 2015-2020. The aim is to create conditions for potential development with all children, beginning even at preschool age and create a comprehensive system that encourages maximum development in both formal and interest areas. The key step is a cooperation with national and international universities and institutions, sharing experience, fostering creativity and preparation proposals for changes in a school legislation. 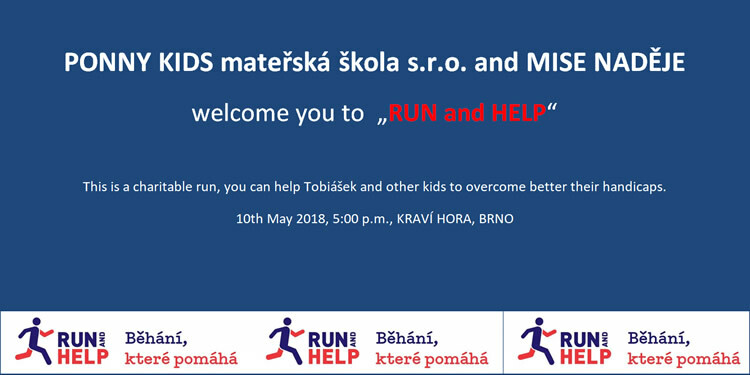 PONNY preschool invites all who would like to get involved in a charity run RUN and HELP on behalf of Konto Bariéry. 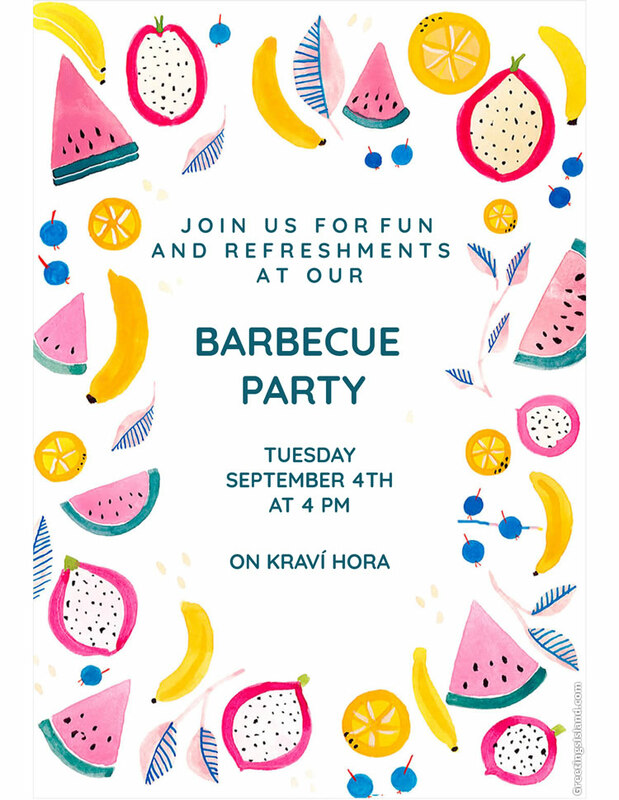 Each registered participant will run on Kraví hora and for each 1 km will contribute the amount of 100 CZK. We hope all of you can manage 1 km at least. All the money will be given to a small boy with autism syndrome. His name is Tobias and he lives in Brno. The money will help to arrange assistants and educational tools. Tobias´ parents run as well. 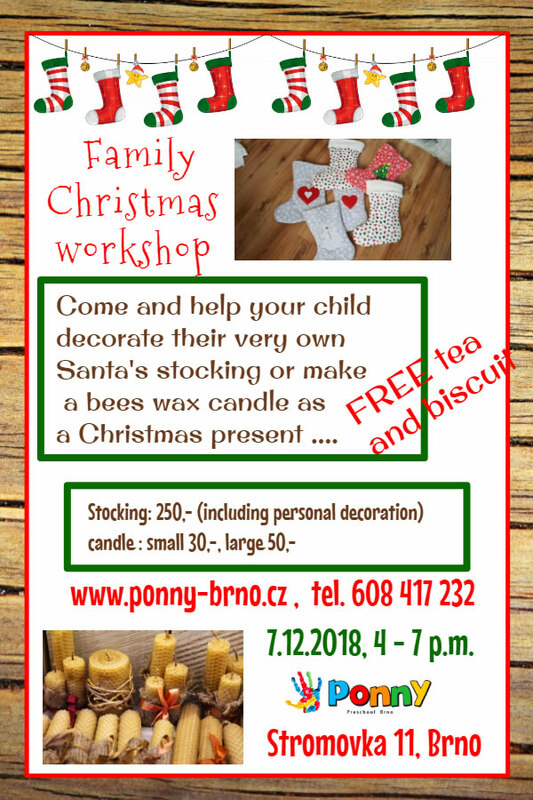 If you are interested in more information, please contact Mrs. Martina Straková (info@ponny-brno.cz). Thank all of you for supporting this event. You can take your children. PONNY kids are ready to run as well. The program is adapted to the weather. We spend a large part of a day outdoors (park Kraví hora, Wilson's forest). We also work with NTC method, symbols, flags and play many games. full-day teaching of English language, all expenses associated with this action including drinks, snacks, lunch, fare, admission. A healthy diet all the week. The program takes place from 9.30 am to 4.30 pm. 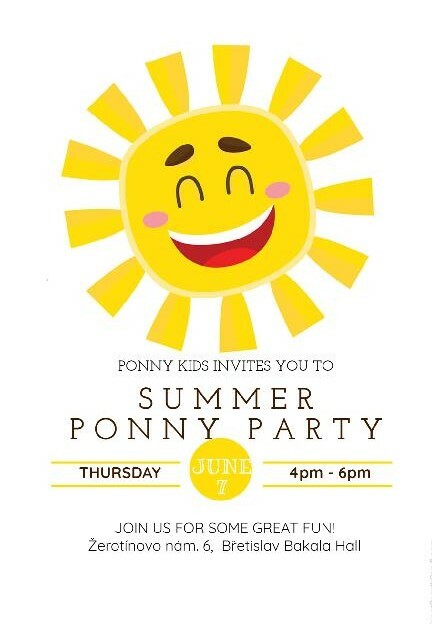 You can bring your child to PONNY at 7.30 am the earliest and pick him/her up at 6 pm the latest. The children travel to Africa and meet lots of animals. They get acquainted with an elephant called Abuu who shows the kids rivers, mountains and his friends. Every day is accompanied with drumming, the children release and test their own rhythms. Drumming connects the left and right hemispheres, relaxes the tension and stress. A week full of movement and sport activities. Every day one discipline is trained after which a competition follows. The kids can win medals for running, jumping, throwing a ball, etc. A week full of painting, cutting, gluing, and creative activities. Children make beautiful masks, puppets, animals, mugs. They paint in a park and wood and learn to see things in a different way. The children learn a correct posture and position of their body, improves their agility, try to perceive music and rhythm and develop their talent. The children enhance physical fitness, coordination, and balance. Every day we have lots of fun, dance and games. Children learn the rules how to behave when walking, how to cross a road, learn traffic signs, etc. 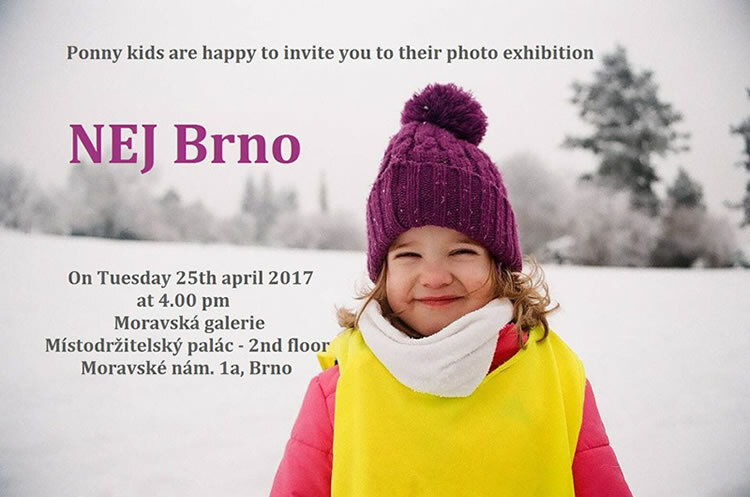 They will test their knowledge at the children traffic playground in Lužánky Park. Accept our invitation to Open House Day on 3rd and 4th February 2015. If you are interested in more details about our preschool program and experience relax atmosphere, visit us together with your child and ask any questions personally. You will have an opportunity to see the kids working on projects, NTC method etc. for those of you who look for more information about how to develop a talent with your child we bring you interesting insights and information on our new website www.rozvojnadani.cz.